Hello there, Renee here from Fantastic First Grade Froggies. Groundhog Day is coming up. Do you celebrate it or somehow tie it into a weather unit? Our 100th Day of School falls on the Friday before Groundhog's Day so I probable won't do much for it, but I wanted to share some of my favorite books and a freebie I had made last year. This was also posted on my blog earlier this month. Here are some fun books I enjoy to share with my class for Groundhog's Day. 4. Go to Sleep, Groundhog! 6. Who Will See Their Shadows This Year? 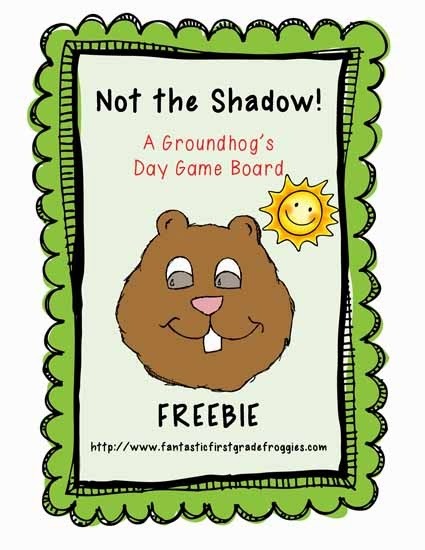 Don't forget to pick up my Groundhog's Day Freebie. It is an open game board, meaning you can make it fit to your needs. Click below to grab your copy. What's your prediction? Will Punxsutawney Phil see his shadow or not?